I always dreamed of having a log cabin somewhere in the mountains of Quebec but that was not to be. 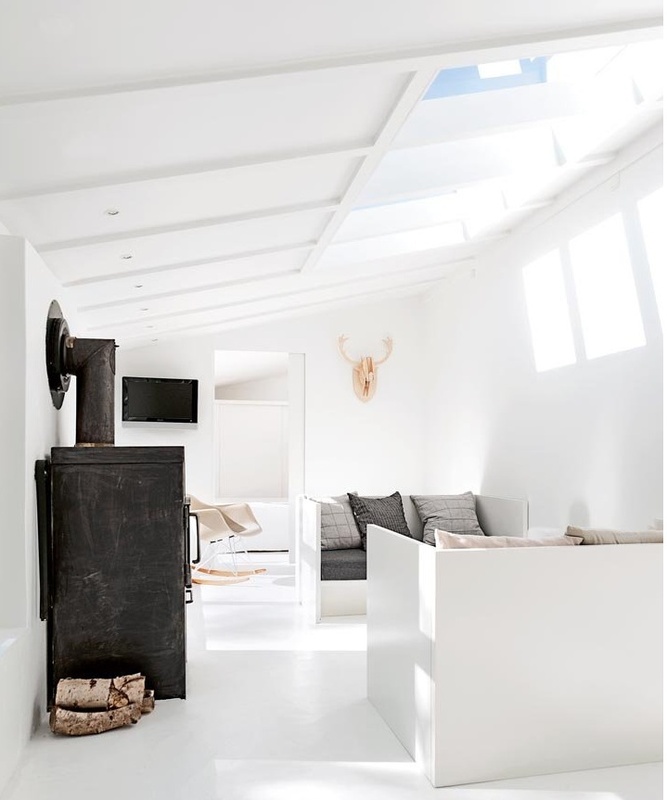 My love of cabin decor however has lived on and this space really has the best of this design. Gorgeous and rustic with all of the modern touches necessary to make it comfortable. A big kitchen with a wonderful adjacent family room. A gorgeous bathroom and a view outside that is sure to relax the mind and cure the soul! This home of Atlanta based designer Bill Cook is not for the faint of heart. Filled to the brim with his collection of odd and beautiful objects, the home can feel inspiring and overwhelming at the same time! Beautiful details in the design of the home balance the feeling of luxury and comfort and certainly stir the imagination of guests that come to visit. The mix of stone and wood is certainly cozy and comes from the area surrounding this interesting home..